As ​the ​world’s third largest emerging economy, Brazil is one of the UK’s biggest trade and investment opportunities. Brazil has an estimated USD 152b of investment to be made to meet its UN climate change treaty commitments. Green investment opportunities include: low-carbon u​rban mobility; water and sanitation; logistics infrastructure; renewable energy; and an expansion of sustainable agribusiness. This event will showcase a pipeline of potential green bonds from some of Brazil’s most prestigious companies and financial institutions including BNDES, Suzano, Ecoagro, CPFL Energia and Klabin, presenting on goals, policy measures, and green investment opportunities becoming available. • Executives from Brazil’s largest financiers and project developers. • Senior officials from Brazil’s public sectors, including the Ministry of Foreign Affairs and Ministry of Agriculture. • UK representatives from Government Ministers and Sir Roger Gifford, former City of London Lord Mayor and head of the City’s Green Finance Initiative. Delegates will depart for the Guidhall at 8.30am. 12:30 Networking Lunch. End of open session. BNDES, the Brazilian National Development Bank, is one of the largest development banks in the world and the main long-term financer in Brazil. It’s also the largest lender for renewable energy in Brazil, and has recently announced its intention to increase support to wind and solar generation projects in the country. The bank supports Brazilian companies and the overall Brazilian economy through direct financing, subscription of equity and debt securities and issuance of guarantees. Eliane Lustosa, BNDES Director of Capital Markets, will be in London to discuss their pipeline for renewable energy financing, and a possible green bond energy fund to be launched in 2017. Brazil’s largest producer and exporter of packaging paper and leader in corrugated board packaging and industrial bags. 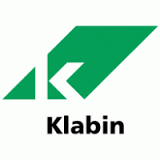 Klabin pioneered the adoption of mosaic planting concepts in its forestry management and has 230,000 hectares planted with pine and eucalyptus and 210,000 hectares of preserved native woodlands (over 45% of its forests). Internationally recognized as a reference in sustainable forest management, it was the first forestry company in the Southern Hemisphere to obtain Forest Stewardship Council (FSC) certification (FSC-C022516). Tiago Brasil Rocha, Director of Finance and Investor Relations, will be in London to discuss their portfolio for a potential green bond on sustainable forest management. Ecoagro is the largest securitization company in Brazil, with an exclusive focus on agribusiness financial transactions. Over BRL 2bn (USD 650m) of agri securitization were issued by Ecoagro in Brazil in 2015. Previous transactions include the securitization of receivables from Fibria, Suzano and other top tier companies, as well as receivables from rural producers. Ecoagro CEO Milton Menten will be in London to discuss their portfolio for low-carbon agriculture green securitization, leveraging on the newly introduced USD-denominated securitization product in the Brazilian market. 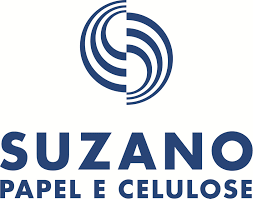 Suzano is the second largest eucalyptus pulp producer in the world, the eighth largest market pulp producer and holds a leadership position in the regional paper market in Brazil and South America. The company’s projects are certified by the Forests Stewardship Council (FSC) and Ceflor (PEFC). Suzano is the first company in the world to be listed in the Chicago Climate Exchange (CCX) to trade carbon credits arising from planted forests. It was honored by the Rainforest Alliance in 2009 as a Corporate Sustainability Standard-Setter (companies that exhibited outstanding leadership in efforts to promote sustainability). Suzano issued USD 500m inaugural green bond in 2016, financing its sustainable forestry practices, including plantation, restoration and conservation. Proceeds will also go to water and energy efficiency projects. In London, Suzano’s Michelle Lourenço Corda, Investor Relations, will discuss their strong investment potential to finance more projects with proceeds to sustainable infrastructure and forestry. 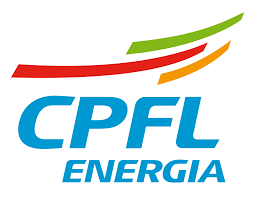 CPFL Energia is the largest private company in the Brazilian electricity sector. It is a holding company that, through its subsidiaries, distributes, generates and commercializes energy in Brazil as well as provides energy-related services. The company is also the controlling shareholder of CPFL Renováveis, which is the leader of the Brazilian renewable energy market. CPFL Renováveis operates in the segment of generation of energy from renewable sources (wind, biomass thermal plants, SHPPs and solar), with its current portfolio being comprised of 85 plants, totaling 1.9 GW of installed capacity. The VP, Chief Legal & Institutional Relations Officer Luiz Osorio, will be in London to discuss renewable energy portfolio and potential appetite for BRL deals, both in the Brazilian and offshore markets.